The Westcliff Tower office building at 6900 Westcliff Drive in Las Vegas has been sold for $18.25 million. 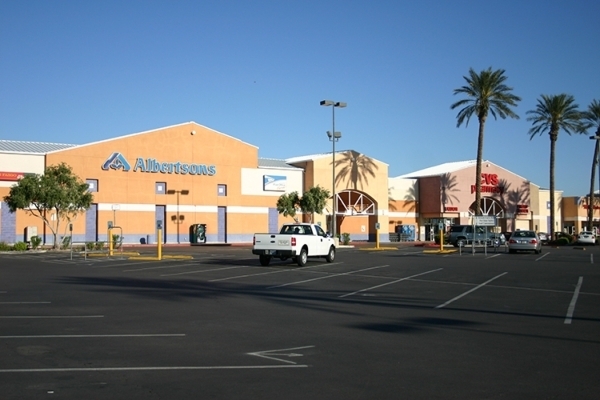 Charles Moore, Marlene Fujita Winkel and M. Laura Hart of CBRE’s Las Vegas office represented the seller, Westcore Properties. The buyer, Westcliff Properties, LLC, did not have broker representation. The 81,298-square-foot property, just off of Rainbow Boulevard near the US 95 and Summerlin Parkway interchange, is 50 percent leased by Bank of America, whose highly visible sign has made the building a landmark. According to Fujita Winkel, the seller enhanced the property by spending more than $1.5 million on common area and building systems improvements. • Turtle Creek Apartments LLC has purchased a 400-unit apartment complex at 6655 Boulder Highway in Las Vegas. The transaction value was $49.750 million, the assessor’s office reported. • A San Diego investor has purchased two apartment buildings, one in Henderson at 2120 Ramrod Ave. for $18.055 million and another in Las Vegas at 2750 S. Durango Drive for $14.445 million, the assessor’s office reported. • Brookhollow Business Park LLC, a commercial industrial space at 7330 Smoke Ranch Road, has been sold for $11.625 million, the assessor’s office reported. • Lewis Investment Co. of Nevada LLC purchased an 18.15-acre parcel of vacant land at Blue Diamond and Fort Apache roads in Las Vegas for $5 million. Vince Schettler of Colliers International represented the sellers, Investor Equity Homes LLC and Mosaic Land Fund LLC. • Heinrich J. Aberle Trust purchased a 6,800 square-foot retail property at 10430 S. Eastern Ave. in Henderson for $2.45 million. Scot Marker of Colliers International represented the seller, Half Shell Entertainment Group Inc., and Charles Connors of Colliers International represented the buyer. • Scenic Vistas LLC purchased a 7,400 square-foot office property at 9327 W. Sunset Road in Las Vegas for $1.036 million. Bridget Richards and Jason Lesley of Colliers International represented the seller, SBSS Holdings LLC. • Continental Realty Advisors Ltd. purchased 0.76 acres of vacant land at Boulder Highway and Russell Road in Las Vegas for $325,000. Steven Haynes of Colliers International represented both the sellers, Robert, Kareen and Brian Balch, as well as the buyer. • Boot Camp Las Vegas LLC leased 13,200 square feet of retail space in Warm Springs Marketplace at 7211 S. Eastern Ave., Suite 120, in Las Vegas. David Grant of Colliers International represented the lessor, L.D. Warm Springs LLC. • FS Marketplace, LLC dba Fantastic Sam’s Hair Salon, leased 1,200 square feet of retail space for 120 months at 5715 S. Eastern Ave, Suite 103, from MCP Airport Center, LLC. Total consideration was $280,635. Nelson Tressler and Michael Zobrist of Newmark Grubb Knight Frank represented the lessor in the transaction. Lauren Tabeek of Voit Real Estate represented the lessee in the transaction. • MG Express LLC leased 5,761 square feet of industrial space in Arrowhead Commerce Center, Building 5, at 3595 E. Patrick Ln., Suite 800, in Las Vegas. Spencer Pinter, Dan Doherty, Susan Borst, Chris Lane and Jerry Doty of Colliers International represented the lessor, KTR LV IV LLC. • Singular Solutions Telecommunications LLC leased 2,013 square feet of office space in Prestige Office Building at 6145 W. Spring Mountain Rd. in Las Vegas. Ryan Martin, Taber Thill, Patti Dillon and Amanda Palmer of Colliers International represented the lessor, Prestige Spring Mountain LLC.